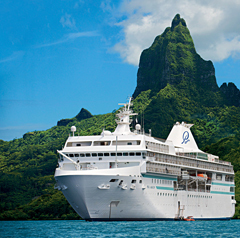 The m/s Paul Gauguin was designed specifically to sail the shallow seas of Tahiti, Fiji, and the South Pacific, visiting small ports that larger ships can't reach and effortlessly blending into the stunning natural beauty of the South Seas. She offers an extension of the informal, relaxing environment of the islands, coupled with five-star service, comfort, and luxury. Spacious suites and staterooms (more than 70% with private balconies), an onboard water sports marina with water skiing, kayaking, windsurfing, and snorkeling, a choice of three open-seating dining venues featuring French, Continental and International cuisine and an extensive spa and beauty salon are among her luxurious attributes. All cabins are complete with marble bathrooms with a full size tub, terry cloth robes, hairdryers, TV / VCR, personal safe, and a refrigerator complimentary stocked with soft drinks, beer and bottled water upon embarkation. Quality nightly entertainment includes local Polynesian singing and dancing. 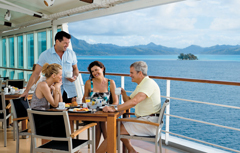 The atmosphere aboard the recently renovated ship radiates warmth, informality, and Polynesian flair. 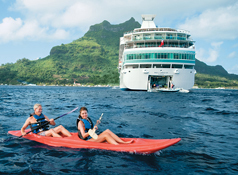 And a beloved troupe of Gauguines—local Tahitians who serve as cruise staff, entertainers, and storytellers—add the unique personality of Tahiti to every sailing. In 1891, when Paul Gauguin arrived in Tahiti, he captured the charm, culture, and languid grace of its people in oils. You won't find his paintings here, but the breathtaking scenic splendor and easygoing lifestyle of its people remain. This 7-night itinerary is perfect for those who want to experience the best French Polynesia has to offer in just a week. 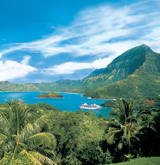 Aboard the award-winning m/s Paul Gauguin, you'll draw close to the islands that inspired Gauguin, author James A. Michener, and so many others. 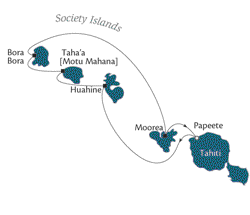 Call on Huahine, the "Garden Island" ... spend a day on a private islet off the coast of Taha'a ... explore magical Bora Bora and bask on a white-sand beach on a motu off the coast ... and discover Moorea, said to be the model for Michener's Bali Hai. There's a reason these islands are world-renowned— their beauty is unmatched. 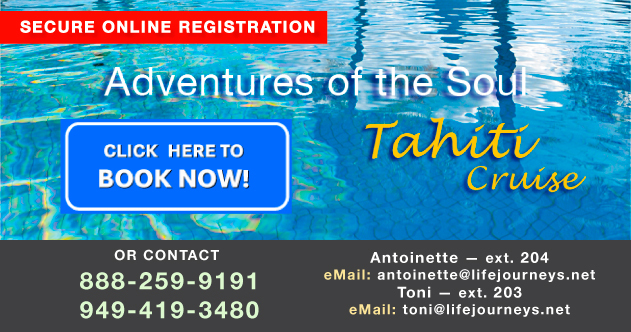 Tahiti - the "Queen of the Pacific"
Begin your voyage through paradise in Papeete, the capital of Tahiti, the largest and most populated of the French Polynesian islands. 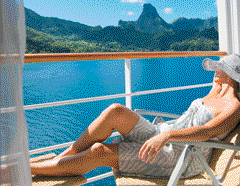 Here you'll embark the luxurious yet casual m/s Paul Gauguin. With an endless choice of things to do, from relaxing poolside with a book to playing the slots in the casino, you will never be bored. Apart from this bustling town with its colorful market and luxury resorts, the island offers stunning scenery with spectacular mountains, lush vegetation and beautiful waterfalls. 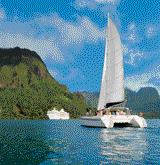 Huahine is known as the “Garden Island” for its lush rainforests and dramatic terrain. 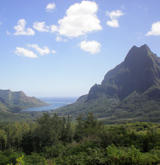 While here, you might explore the island’s sacred sites and legendary landmarks that are among the best-preserved archaeological remains in French Polynesia. 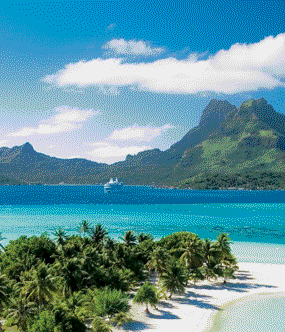 Enjoy snorkeling or SCUBA diving in the expansive lagoon. Or picnic on the beach on this lush authentic island and get away from it all. Motu Mahana, an islet adjacent to Taha'a, is a South Seas paradise, featuring white-sand beaches with swaying palms, crystal-clear waters, and gentle breezes. 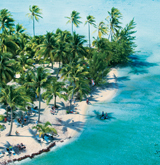 At an exclusive Paul Gauguin Cruises event, you will spend a full day on this idyllic island, pursuing your own pleasures from swimming, snorkeling, and kayaking in the turquoise lagoon to playing volleyball, learning Tahitian cooking secrets, or simply relaxing on the beach. 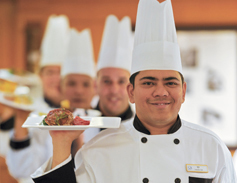 Also included is a delicious barbecue lunch and Polynesian entertainment featuring strolling musicians and singers. Bora Bora - the "most beautiful island in the world"
Pulitzer Prize winning author James Michener called Bora Bora “the most beautiful island in the world.” Dominated by towering Mount Otemanu and surrounded by a lagoon protected by low-lying coral reefs, this is indeed a spectacular destination. 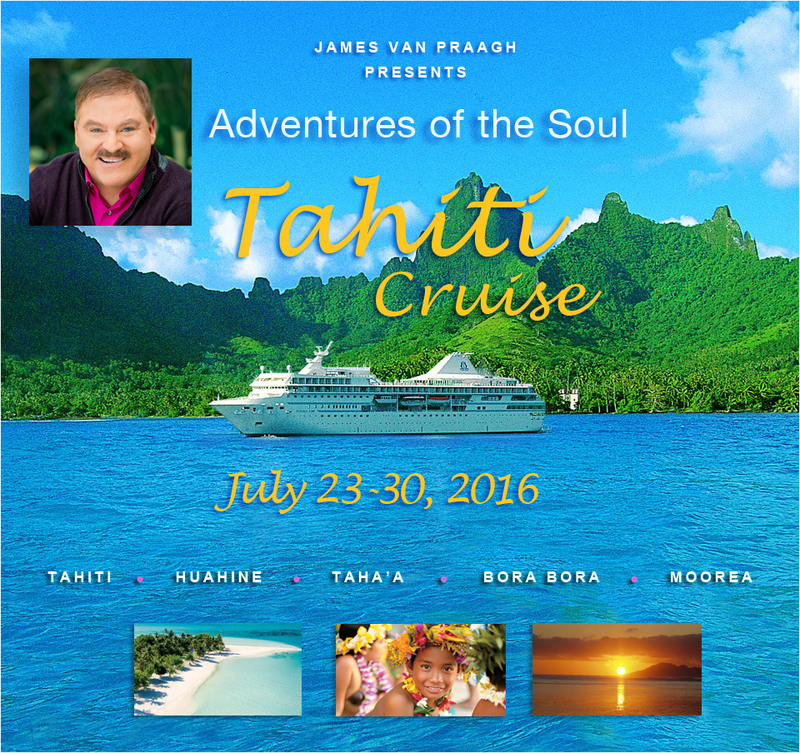 You’ll have two days to discover this quintessential Pacific paradise. 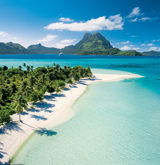 Explore its exquisite lagoon on a snorkeling tour or underwater walk, enjoy a bird’s-eye view on a helicopter tour, thrill to a sunset tour by jetboat, or visit the InterContinental Bora Bora Resort & Thalasso Spa. Explore more of this magical isle by choosing from optional shore excursions, such as a jitney tour on “Le Truck,” a 4-wheel-drive safari, or a glass-bottom boat ride. Graced with an abundance of fresh fruits and flowers, spectacular mountain peaks, peaceful multi-hued lagoons, and palm-fringed beaches, Moorea boasts an awesome beauty that is unsurpassed. During your visit, you might wish to shop for local cr afts, embark on a dolphin-watching expedition with a marine biologist and witness these fascinating animals in their amazing natural habitat, or try out some of the local pineapples, said to be the most delicious in all of French Polynesia. An overnight here affords us two full days to explore the gorgeous island. 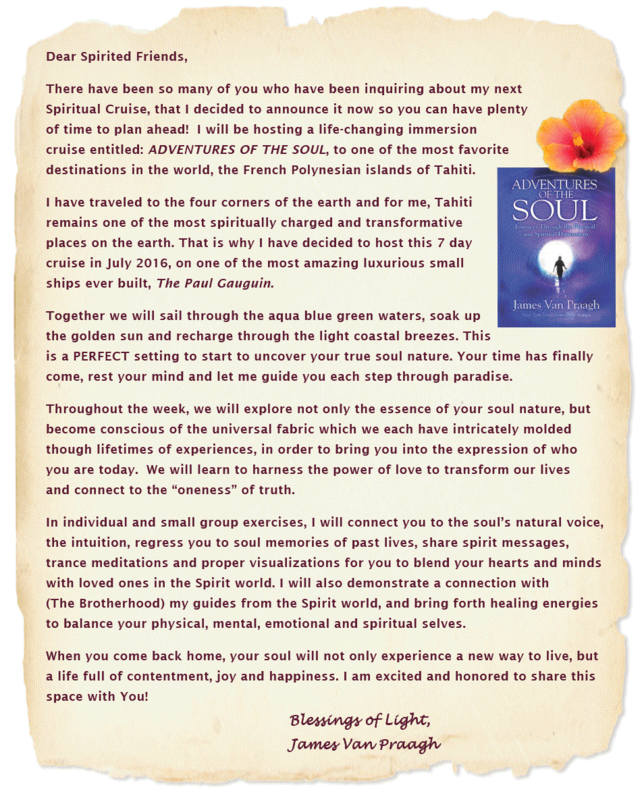 • Included in the cruise price. 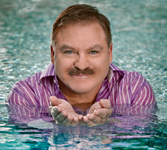 interaction with James during the cruise.